Mobile technologies have changed the way we go about our daily lives. Common pain points that existed for years have been quickly diminished. Think about it. You can use Slack to easily communicate with fellow employees. You can use Square to process payments on the go. You can use Checkr to perform detailed background screenings. You can use Envoy to sign-in to work. The possibilities are endless. A majority of tasks in life, whether for business or personal use, can be done more efficiently using mobile technologies and users are quickly adopting the trends. To show how fast our use of mobile technologies are increasing, we’ve put together a few charts that help visualize the trends. 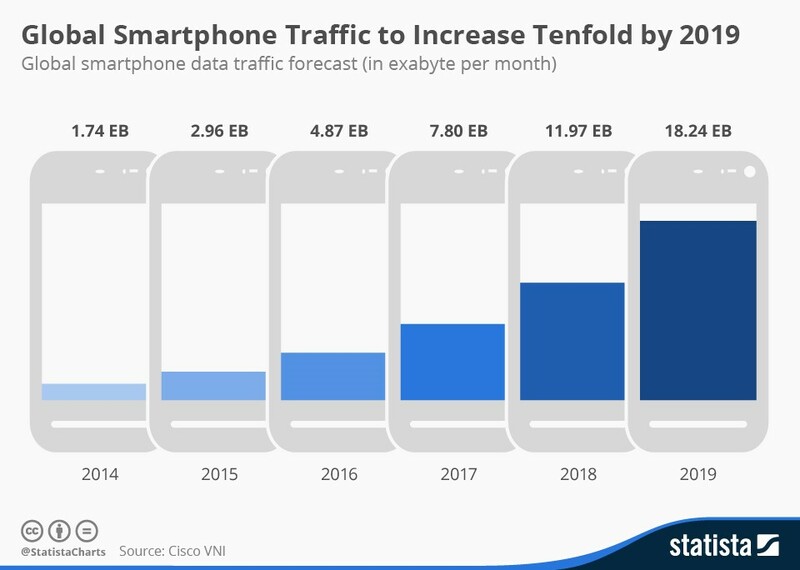 As part of Mary Meeker’s internet trends reports, she covers the increasing rate at which we are using our phones, while also showing how desktop has remained stagnant. 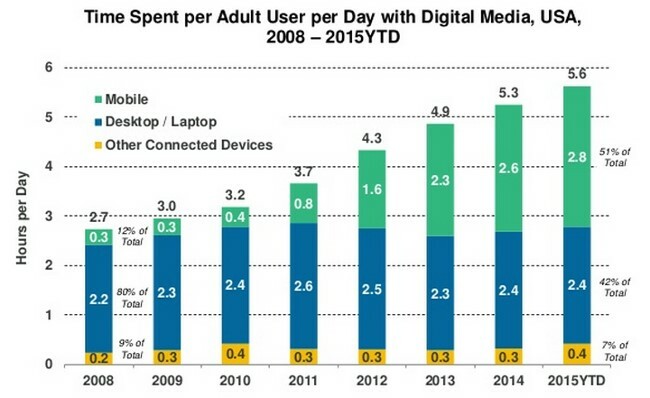 People are now spending 2.8 hours a day accessing digital media using a mobile device, compared to the 2.4 hours a day on a desktop and laptop. Mobile has officially surpassed desktop. Also from Mary Meeker’s internet trends, this chart details how mobile advertising is an opportunity brands need to take advantage of while the market is still maturing. While desktop ad spend is slowly starting to level off with an 11% percent increase this past year, mobile ad spend grew to 34%. The chart shows that the mobile ad space is still maturing, and is still an opportunity for brands to take advantage of. 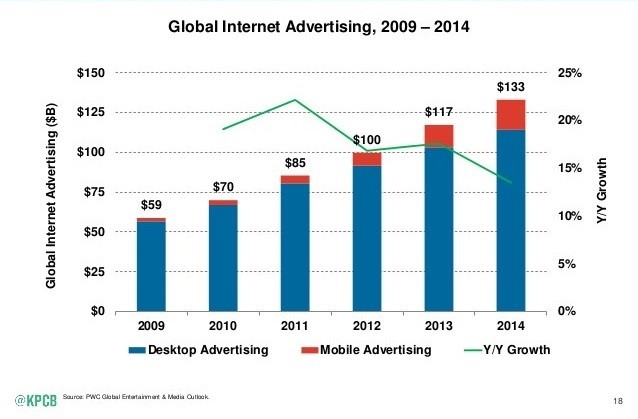 It should be noted that while overall internet ad spend is declining, mobile continues to grow. Continuing the mobile ad spend trend, Statista predicts that the mobile share of overall digital Ad Spend will steadily increase over the next few years. As users spend more time on their phones, mobile ads will play a bigger role in Digital ad spend. 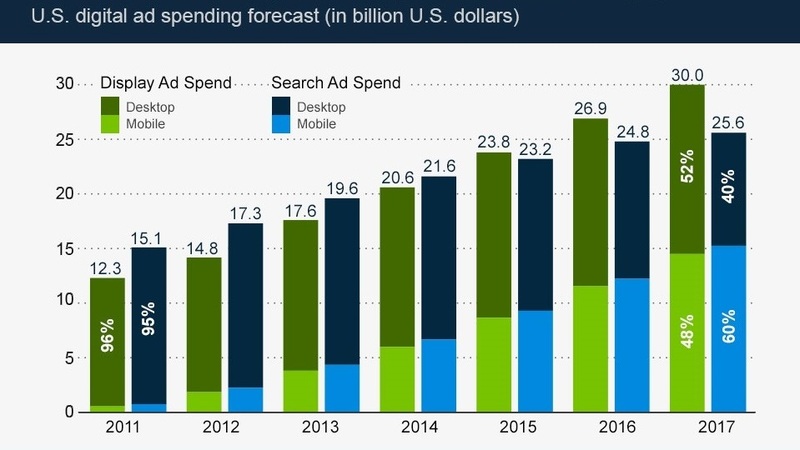 Even though the overall digital ad spend will be down, mobile will climb. With the amount of time spent on our phones increasing, it only makes sense that the amount of traffic will continue to increase. Statista predicts that by 2019 we’ll be using 10x the amount of data that we use today. The amount of apps submitted to the Apple Store is increasing at an unbelievable rate. 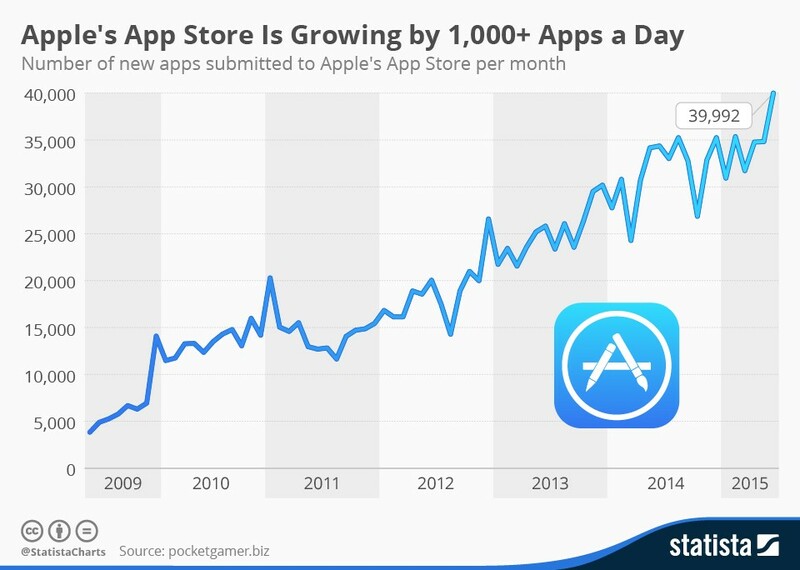 According to this chart by Statista, there are over 1,000 apps submitted every day. With so many apps submitted to the Apple App Store, how will you compete? Marketing will begin to play an even bigger role in the success of an mobile app. The biggest news websites in the world have seen their audiences shift from accessing media on a desktop to accessing content via mobile devices. 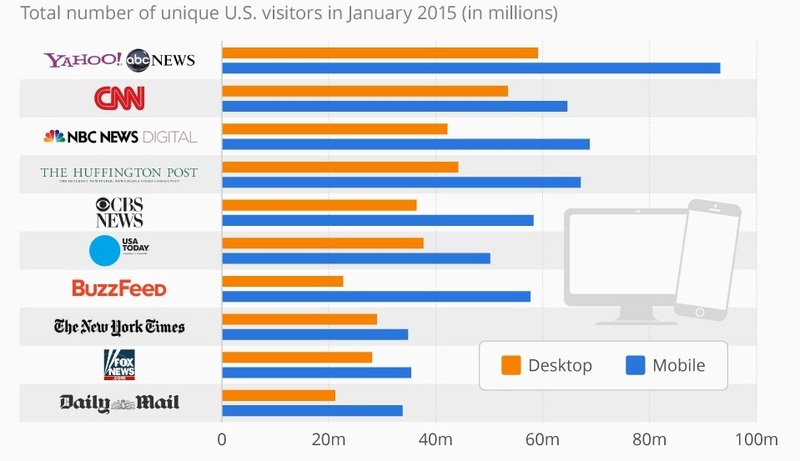 In a Pew Research Report that analyzed 50 major news websites, 39 received more mobile visitors than desktop visitors in January 2015. Having a mobile optimized website has never been more important.